2017 was an excellent year for gaming. There were so many different games that came out this year that the STS Guys loved, we decided that we need to come up with our own Game of the Year award. We all are avid gamers and fans of video games, so we want to give credit where credit is due and crown the best game of the year that we have all played. I would like to say that we have some algorithm that we used to score the games, but in reality we sat around after a few drinks and came up with some favorite games and picked our winner. What can we say about South Park: The Fractured But Whole….other than this game is basically like playing an episode of the show. The sequel to the Stick of Truth, the game took the gameplay of the predecessor and expanded upon it. By adding a movement grid to the battles, it adds a whole new dynamic to the battles and makes the each battle different when you change out your party. Vulgar and raunchy, this game is everything that we wanted out of a South Park game. 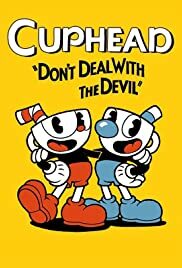 What can we say about Cuphead other than it is the most fun that any of us have had while being frustrated that any of us can remember. A perfect combination of early 1900’s animation style, punishing gameplay, and run and gun mechanics. Cuphead is a breath of fresh air for a genre that has been very stale. With ingenious boss battles and an insane difficulty curve, we have been loving this awesome XBOX exclusive. Bringing the horror back into the series, this Resident Evil kept us on our toes and in terror as we investigated the Baker family and the nefarious deeds that have taken place in their backwoods home. Switching the series to a 1st person view, the game keeps you on edge as you will never know what will happen around any corner or where the story we go. We haven’t tried in in VR yet, but can tell you that it will be terrifying when we do. 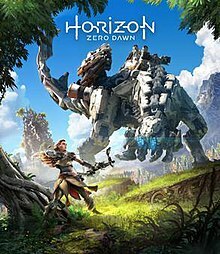 A breakout hit, this games lets you take control of Aloy, a human in a post apocalyptic world where robotic animals are the dominant creatures. With a compelling story with a ton of mystery around the fate of humanity, we could not put this title down. With an awesome battle system and variety of methods at your disposal for taking down your robotic prey, this game has tons of replayability and is all-around fun. You can’t have a game of the year post without including a Zelda game and this one deserves to be on the best of 2017 list. 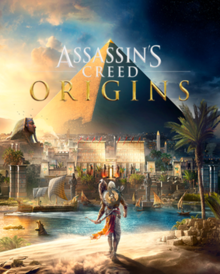 With a massive open world and a massive amount of freedom, we found ourselves easly distracted with exploring the world and completing side quests in this game. The updated gameplay system expands on the previous entries in the title and makes each fight a challenge depending on your gear and its durability. This game is just plain fun! This game was an interesting one for us, as we did not have a lot of stock placed in it (based on previous entries in the franchise), but this game came out and blew us all away. With updated stealth, fighting, and movement mechanics, this game feels nothing like the other Assassins Creed games. 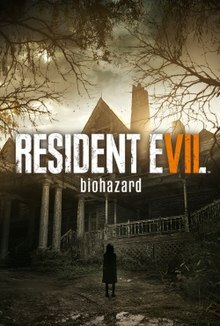 With an interesting setting that has not been tackled before, this game ended up being truly great and one that we have had a hard time putting down. This years game of the year award goes to HORIZON ZERO DAWN. The game boasted great gameplay and a beautifully crafted world, with a level of attention to detail that will put most other games to shame. We all sank countless hours helping Aloy in her quest to stop the corruption and save her world (and uncover what happened to ours). This game will go down as one of the greats! !